Losing weight brings with it several advantages: you feel a lot healthier, and become more energetic and look better than you ever have. These are some of the reasons why people who are fat, or obese, needs to lose weight, and lose it fast. It‟s very easy to get excited about the entire concept of losing weight and set goals for oneself. But the process of losing weight, while not at all difficult once certain basic guidelines are maintained, is not all that simple either, and cannot be gotten over with hastily. One has to be practical and set practical, reachable goals for oneself. This way you can never be disappointed with yourself, will always live up to your expectations of yourself, and will have a much better chance of losing weight efficiently. 5-10% of weight loss even can seriously set you on your path to leading a far better and healthier life. If you are overweight, then losing weight should be done gradually, and steadily. The process should not be rushed, and one should never lose more than 2 pounds a week. this way, you‟ll stay safe. But obese people may need to lose weight fast, but even so, a doctor‟s or a physician‟s advice is crucial before any steps are taken. There are several reasons why you weigh what you weigh. Your weight depends upon the kind of food you eat, and the amount of food you eat, whether your exercise regularly and daily, whether food is used as a stress reliever and so on. Also, your age, general status of your health and your genetic and physiologic condition, all contribute to your weight. There is no dearth of products in the market promising the world and delivering nothing eventually. They promise you massive weight loss by following merely a few steps which do not include making serious changes in your lifestyle, or eating food with less calories. These products, which opt for a quick and effortless way out, are mostly all impostors and con jobs. They seldom work at all, or aren‟t permanent in their effect. Also, they may be harmful to you too. Always ignore any such product promising you results which don‟t require any effort from your part. Losing weight requires work, exercise and a health regimen, without which it‟s not possible at all. People who are obese or overweight have often, instead of dieting, resorted to exercise and eating healthy foods according to the rules set down by the Dietary Guidelines for Americans, who recommend eating foods with low fat and more greens in them, such as vegetables and fruits, and grains also. 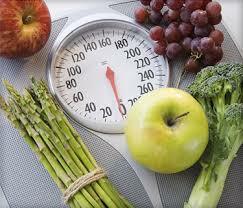 People, who do diet however, need direction and help in order to efficiently control their weight. Unless and until you are seriously overweight or obese, and need to get rid of the fat immediately and fast, your strategy should always be aligned towards long term goals, which have long lasting and often permanent effects, if you follow certain basic rules. There are certain diets which claim to help lose weight, and which do not follow the recommendations of The Dietary Guidelines for Americans, and these may work, but they only do so for a short time and may even be harmful to your health. First and foremost, consult your physician and check whether it is at all feasible for you to lower your calorie consumption and increase the amount of physical exercise that you do. A balanced diet consisting of food that has very few calories in it can lead to losing about a pound or so of weight per week. Fruits and vegetables should be eaten around 5 servings a day, and be sure to include whole grains, milk products and meat too. This is an extremely healthy diet that you can follow and is guaranteed to reduce weight. Exercise or physical activity of any kind is a must if you want to lose weight. You don‟t have to necessarily start off by gymming or the likes: you can take simple steps, literally! Try taking the stairs, instead of the elevator, or the escalator, or try parking farther and walk the distance instead. If your doctor agrees, and only if he does, try some daily physical activity such as walking. It‟s best not to rush and lose a lot of weight very quickly. Such a method may not be safe. It‟s always best to set limits and moderate, realistic goals which are easily reachable but still benefit you. 5 to 10% weight loss can really prove to be beneficial and can help lower your blood pressure by quite a tidy amount. For instance, if you are around 5 feet 6 inches, and weigh around 180 pounds, and would like to weigh around 150, 5-10% weight loss is perfectly fine and healthy. Realistic, practical approaches to weight loss are, more often than not, the most efficient. They can lead to serious, beneficial changes that are long lasting. Physical exercise is a must in this regard, and cannot be emphasized too strongly. High blood pressure, several diseases like Type 2 diabetes and coronary artery complications are some of the many fallouts of being overweight and obese. The circumference of your waist and most importantly, your body mass index are dead giveaways when it comes to knowing the amount of body fat you have, and the health risks you might run into because of it. BMI is mostly a very dependable way of estimating body fat, especially for people between the ages of 19 and 50. Exceptions are women who are pregnant and breast feeding, bodybuilders, athletes and patients. The health risks increase with the BMI count, and also with waist size. Sizes greater than 40 inches for men and 35 for women can prove to be serious and harmful. There are several other ways of estimating body fat other than BMI and waist size, which your doctor can help you with. Your BMI can be determined by using a chart found at healthcare centers everywhere. Keep in constant touch with your doctor to be aware of the many health risks, and come to a suitable health losing method for you. Ask your doctor what sort of diet could be suitable for you: a moderate one, which is usually 1200 calories for women and 1400 for men, or other diets that you need to be aware of, and which your doctor can help you with. Also, understand clearly what side effects can take place, and what other medications are available, and also about diet supplements. Keep him updated about any changes that you may feel during or after the completion of the medication. Choose a treatment center which is close to where you live or work, is accessible and has appointment times which are suitable for you. Be aware of the institution or the healthcare center, and its qualifications and certifications. Also, know about the costs of the various aspects of your treatment, be it the membership, the foods, the dietary supplements or the tests that you may undergo. Get yourself a price list, as it will be helpful in this context. Did you know that when you lose weight, you are not just losing excess fat from your body, but muscular tissue too? There has been lots of research into this field and science has actually proved that what we get rid of is seventy five percent fat and twenty five percent muscle tissue. What you probably never imagined before is that we also lose a sizeable quantity of water during a weight loss spree. Water comprises over seventy percent of our body weights and also makes up a large part of fats and the substance in our muscles. You don‟t feel that great if you are overweight and the scales keep climbing, do you? You derive absolutely no benefit from being the way you are, that is, being obese. Apart from looking and feeling bad about it, you risk getting multiple diseases from being obese. Yes, obesity can kill. Heart attacks are the worst deal you could get. That can be fatal, as you already know. Being a glutton has its moments, but in the long run, it‟s a disaster for you. Living for the sake of food is simply not the way to be. You have to pay the price if that‟s your mantra and that dearly. Throughout the day, your body works like a machine that burns up calories. When you are climbing up and down the stairs, moving on the streets, lifting and heaving and pushing and pulling objects, or doing just about anything that involves movement, you are shedding calories. As long as your calorie intake is sufficient for the energy you need to stay fit and healthy, everything will be fine. But when you consume more calories than what your body needs, you don‟t burn it all up. It gets accumulated around your waist, buttocks, thighs and neck as ugly fat. As soon as you notice fat build up, work on it. If you leave things the way they are for longer than is safe, you‟ll have a hard time shedding it all later. Don‟t get all worked up, though, because help is at hand. There are plenty of sites on the Internet that tell you how you can lose weight effectively in a short while. They will give you all sorts of diet and exercise tips that will work wonders. What you have to keep in mind is that losing fat is not enough; you have to make sure it doesn‟t come back in a hurry. Herbal remedies suit some people well. If that doesn‟t work for you, try jogging or taking brisk walks once a day. You have to strike a balance of correct diet and exercise. It is a combination of the two things that really makes a difference. Go on a high fiber diet and stick to it. Take at least eight to ten glasses of water each day. Your system will stay clean and clear of fats and toxins.